Bachelorette scavenger hunt is one of the hottest new trends for bachelorette parties. As it is both affordable and easy to plan, it’s a fun activity for a girls night out. One of the best things about a scavenger hunt is that you can adapt it to almost every theme. They are also not as corny as some traditional games that have been played at bridal showers or bachelorette parties over the years. A scavenger hunt is not only one of the most popular bachelorette party games ideas, but it is also the most creative. But how does one go about preparing for a scavenger hunt for a bachelorette party? The following article will give you some suggestions on the different types and themes. 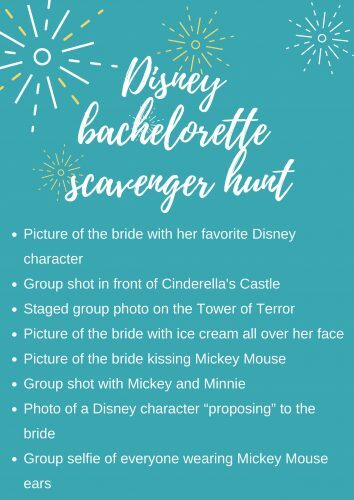 If you are wondering how to make a bachelorette scavenger hunt, you have come to the right place! We have some fun ideas for scavenger hunts. One of the first things you need to keep in mind that the party is for the bride, so you need to tailor the hunt to her tastes. Make it something she will not only enjoy but remember forever! This her last hurrah as a single woman with her closest girlfriends so you want to make it an event to remember! The scavenger hunt must be tailored to the bride’s personality. Does she have a wild side? Would a dirty scavenger hunt be acceptable? Or is she more on the refined side and needs something clean and dignified? Make sure to respect the bride’s tastes when you are planning the scavenger hunt. For a naughty list, you can use the list below or search for others online. Or if you know the bride really well, and have a dirty mind, you should have no problem coming up with your own naughty scavenger hunt ideas. Bachelorette parties can be costly, so you probably don’t want to spend a lot of games. Most of your money will probably go to party favors, food, and of course, adult beverages! 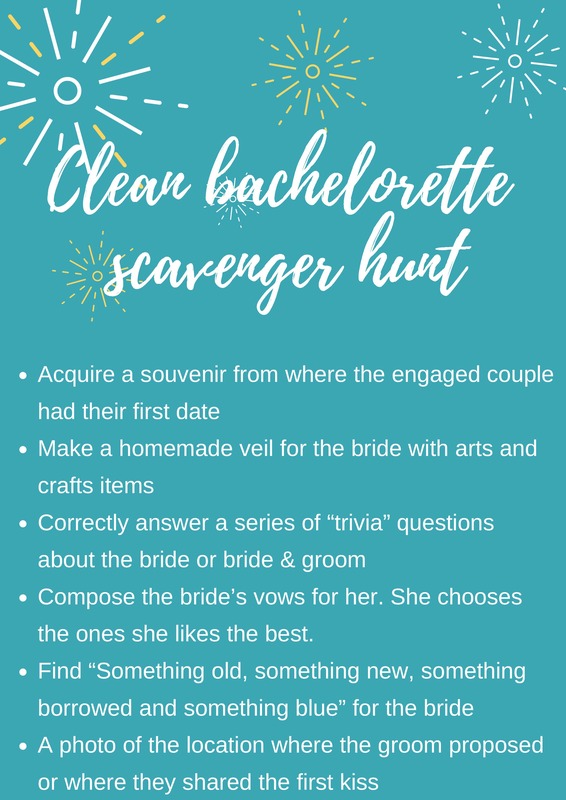 If you are in need of some free bachelorette scavenger hunt ideas, there is a plethora of information available online. An icon style scavenger hunt is free and a great way for the guests to show off how much they know about the bride. It is a fun way to engage all the guests, and amuse the bride-to-be, as well! 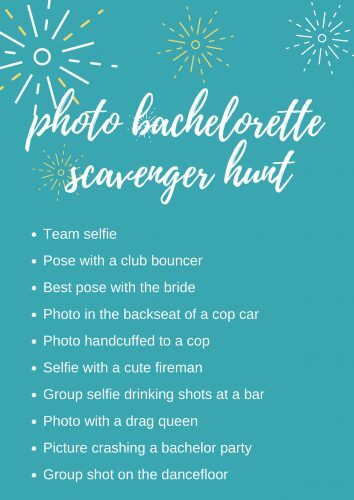 What about a funny bachelorette scavenger hunt? A photo scavenger hunt will get everyone laughing. You can divide everyone up into teams of 2 to 4 and send them off with a list of photos they must take. All this requires is for at least one person to have a mobile phone with a camera. This idea is especially fun if you are in a city or small town. As well, you can make this scavenger hunt a pub-crawl event where the list includes fun photoshoots at each location. Have the bartender create a special drink for the bride. The team with the best drink (judged by the bride) wins. Ask married couples in the bar to give you marriage advice (have them write it on a napkin, the team with the most napkins wins). Are you off to a girls weekend in Vegas? No worries. What happens in Vegas, stays in Vegas, including the bachelorette scavenger hunt. Vegas is more than just gambling and drinking, there are a lot of shops, hotels, restaurants and other such venues that you can include on your list. You can make it an evening quest, or hold your scavenger hunt for the bachelorette party during the day if you feel safer that way. The choice is yours and you won’t be disappointed with the options. 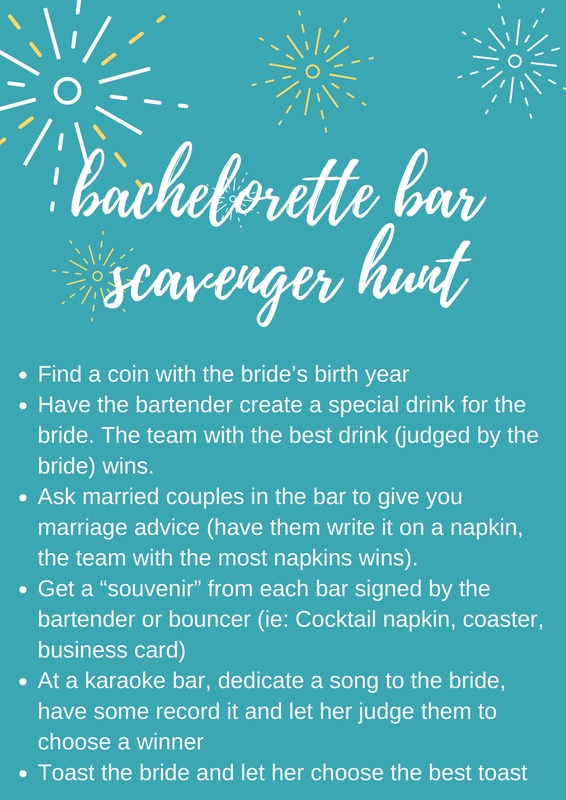 Here is a printable Las Vegas bachelorette party scavenger hunt, complete with answers, to give you a few suggestions! 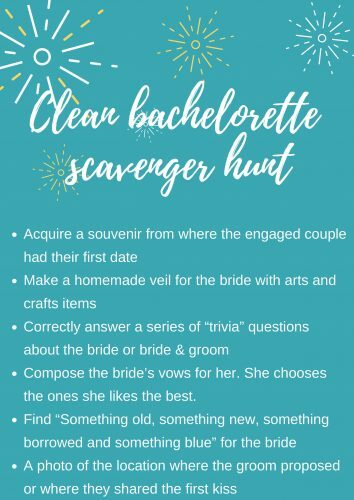 If the bride-to-be is more old-fashioned or reserved, you should plan a clean bachelorette scavenger hunt. Remember, the party is for the bride, so you need to respect her wishes, values, and beliefs. 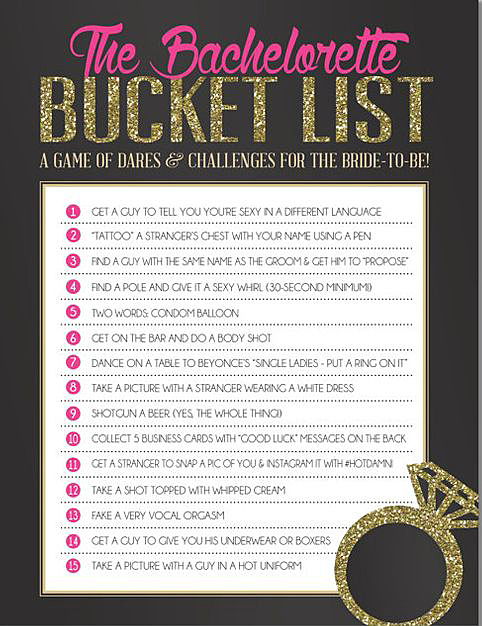 But that doesn’t mean you still can’t have a totally awesome bachelorette scavenger hunt! 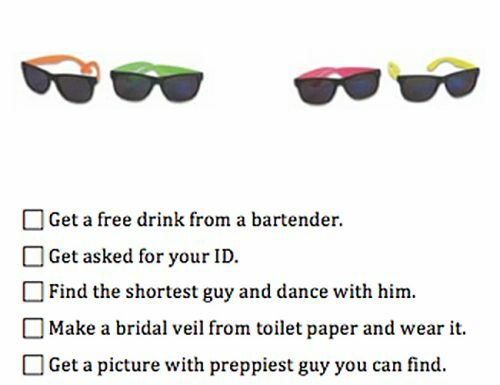 Here are some ideas for a clean scavenger hunt for your bachelorette party. Compose the bride’s vows for her. She chooses the ones she likes the best. 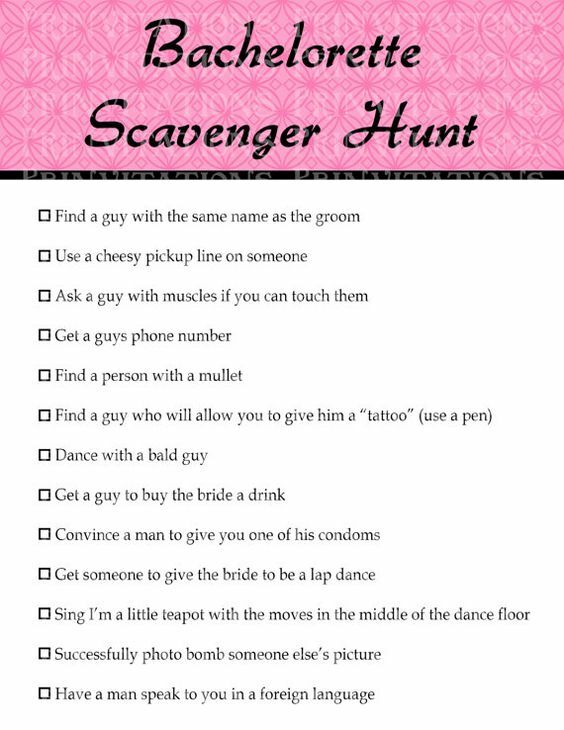 In order to make sure the scavenger hunt goes as planned, you should have a bachelorette scavenger hunt checklist prepared in advance. As well, if there are any “props” you need to plant yourself, you need to ensure that they are on-hand before the start of the hunt. You can hand-write your checklist, or use one of the printable ones we have provided above. As well, you will want to have a copy of the actual scavenger hunt for each team and/or party guest. The better prepared you are, the easier it will be! 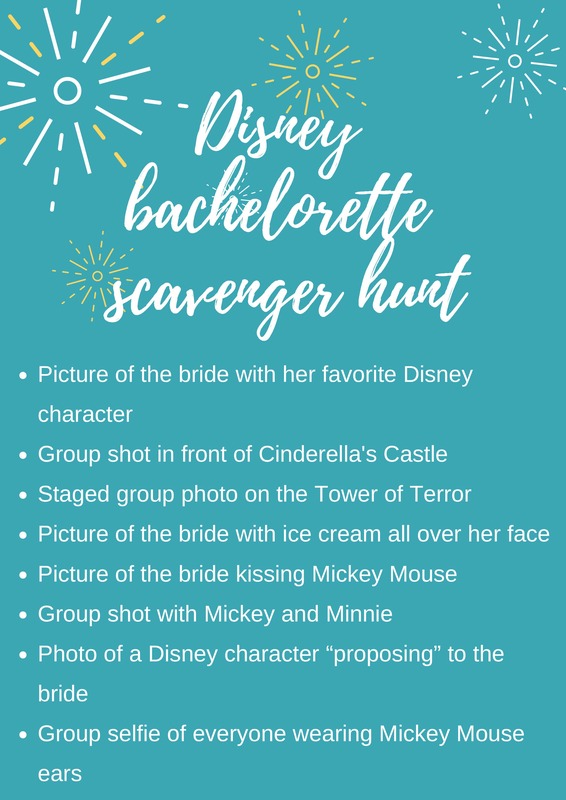 We hope that our ideas for bachelor scavenger hunts have inspired you to plan a fun and exciting scavenger hunt for the bachelorette party festivities! Make sure everyone is safe and never drink and drive! 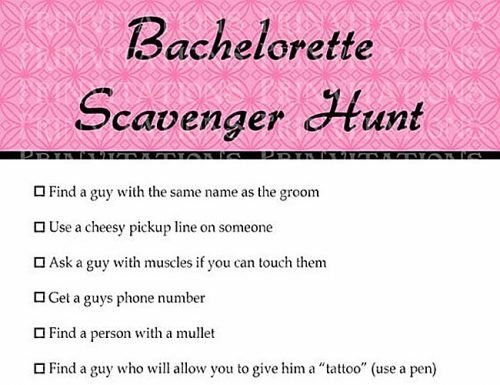 So get out there and start creating your list for the best bachelorette scavenger hunt ever!